Suzuki, one of the first automobile giants to enter the Indian market in partnership with Maruti, has been slowly losing its competitive edge to other automobile manufacturers like Hyundai. To counter competition, Maruti Suzuki plans to implement radical changes and the first step it has taken is its decision to phase out the Maruti800 and Alto models. These two models will be phased out by October 2012. Unconfirmed reports suggest that the most likely successor to these vehicles is slated to be the Suzuki Cervo, which will be in direct competition with the likes of Hyundai Eon, the Tata Nano and Chevrolet Spark. The other low end competitor includes the Bajaj RE60 as well. It is no secret that Hyundai has been making steady inroads into the Indian market and eating up Maruti Suzuki’s share of the market. The Suzuki Cervo, which is expected to be priced at Rs. 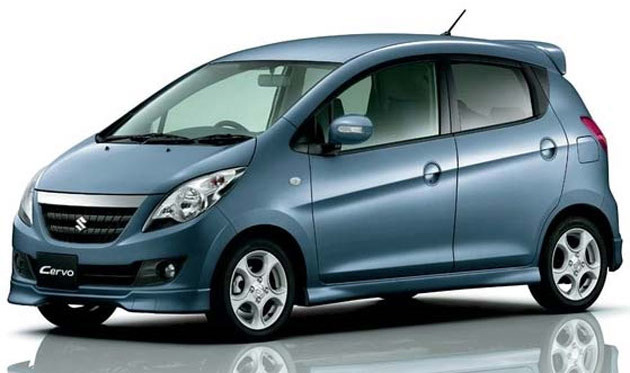 2 to Rs.2.5 lakhs, will compete directly with Chevrolet Spark and Eon. The Cervo has done extremely well in the international markets and in India it will be positioned in the ultra-small car. Although the Tata Nano, till March sold nearly 10,000 units, there has been a steady decline in its sales since April 2012. This indicates that consumers are eagerly waiting for newer models to be introduced, thus increasing the potential for the new Maruti Suzuki model, the Cervo. Nano, though is the first ultra small car in India, it came without any additional features, and demand for these extra features forced Tata to come up with an upgraded version in 2011. Another crucial aspect of declining Tata Nano sales were reports of the Nano catching fire. Maruti Suzuki, an old timer in automobile manufacturing in that sense, will garner the support of the Indian consumer simply because of its outstanding track record on reliability.